Attention all philanthropists: the International Day of Charity is September 5! If giving back gives you the most happiness, then get ready to start giving. The International Day of Charity was originally a Hungarian civil society initiative. It was supported by the Hungarian Parliament and Government in 2011, and was instituted on September 5 to commemorate the anniversary of Mother Teresa’s death. In 2012, the UN General Assembly resolved to incorporate the Hungarian holiday and make it international. It was co-sponsored by 44 UN Member States, including Lebanon, the Dominican Republic, and the Republic of Korea. 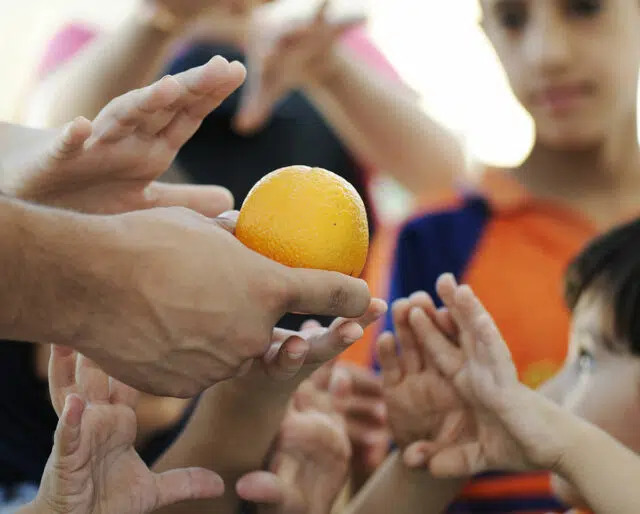 On the International Day of Charity, the emphasis is placed on enhancing visibility, organizing special events, and increasing solidarity, social responsibility, and public support. So if you’re looking for a new charity to support, or if you would like to get more involved with a specific charity, then September 5 is the perfect day to do it. Just as there are billions of humans on the Earth, there are billions of different problems that affect us, and some of them might not get very much attention in mainstream media. Take this opportunity to do some research, and see how many not-mainstream charities you can find. You never know—you might find your next calling. Giving to charity is always a worthwhile thing to do, but you can also donate your time in addition to (or instead of) your money. Find somewhere close to home where you can put in some work and do some good in your community. This is ideal if you are in a position where you want to help others, but your current living situation makes monetary donations difficult. You can’t put a price on time spent helping others. When you’re considering donating to charity, you don’t even necessarily have to donate to big organizations. GoFundMe is the place where ordinary people have problems that — while considerable — may not be in a position to be assisted by an organized charity. Take some time to look around, and help to make individual lives better. Life is hard, and for some, it’s nearly impossible. Due to circumstances beyond immediate repair, there are some people who are trapped in negative cycles that prevent them from affecting positive change on their own lives. The only reason humanity has survived as long as it has is because of our tendency to help others. All we have to do is reach out. This is understandable. The challenges we face in our daily lives can often be enough to make us short-sighted, concentrating on our own problems while ignoring those of others. While it is important not to neglect yourself in favor of others (because it’s always harder to help people when nobody is helping you), it’s also important to reach out to others and give them a hand if you’re able to give it. The International Day of Charity is the perfect time to remember that. This is the one positive side effect of the fact that the problems we face have such infinite variety. Thanks to all the different problems that can and do affect us, there’s a good chance that the cause you care about the most may not be given very much attention most of the time. On the International Day of Charity, you may discover a cause that drives you.